BT has announced a partnership with Heineken that will see 100 London pubs get Wi-Fi and location specific content. The deal will see a further 200 pubs across Britain receive the service by the end of next year. Wi-Fi access will only be free to BT Broadband customers, "plus users of iPads, iPhones, iTouch, Android, Samsung and Blackberry devices and smartphones through other BT partnership agreements". According to BT's press release, punters will be routed through a "special area of the internet" with content from Independent spin-off newspaper 'i'. 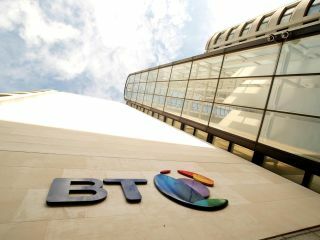 Rick Lawrence, Marketing Manager at Heineken UK said: "The partnership with BT reinforces the brand's reputation as a leading player in the development of technology. "The Wi-Fi initiative will provide excellent exposure for Heineken among its key target audience and build greater affinity between the brand and its consumers." BT also indicated that the latest deal took its total hotspots number over three million, including John Lennon Liverpool, Robin Hood Doncaster Sheffield and Teesside regional airports.